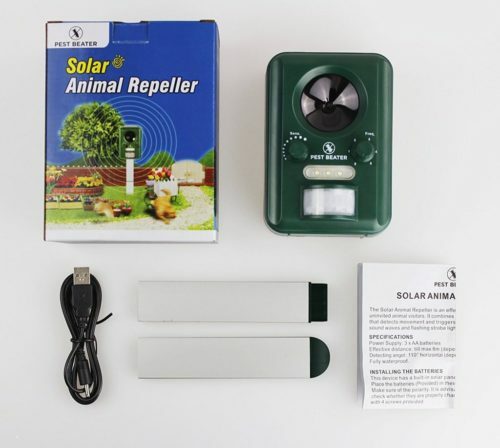 ✔ SOLAR-POWERED, CORDLESS OUTDOOR ULTRASONIC PEST REPELLER – A strong ultrasonic signal is activated when animals enter into range, which scares away nuisance animals and pests. Solar-powered motion activated detector for hassle-free usage in gardens, yards and lawns. 25 ft radius. 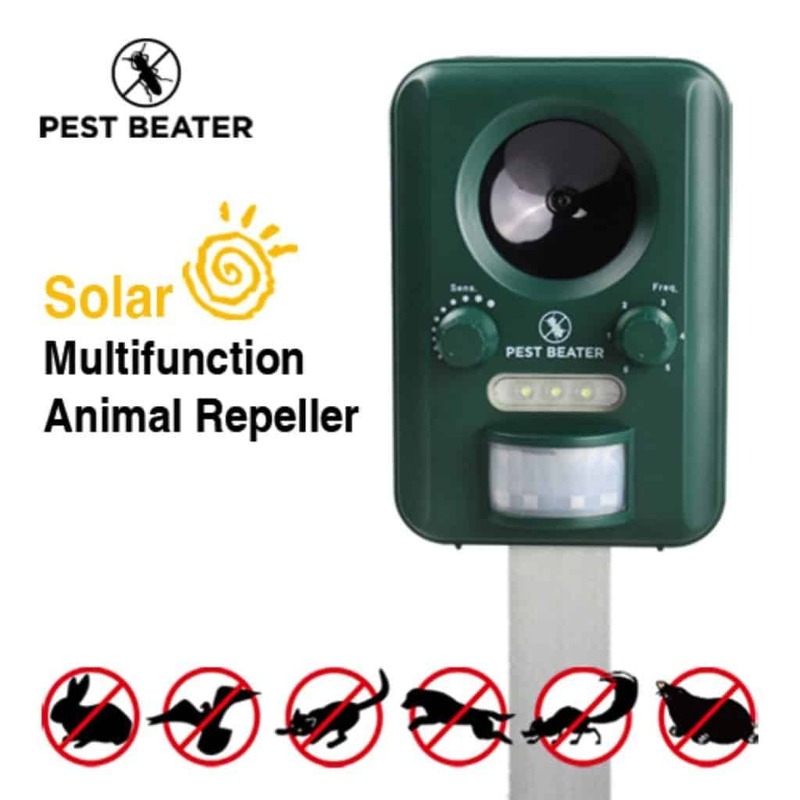 ✔ BEST ELECTRONIC REPELLENT & ANIMAL DETERRENT for Birds Geese Pigeons Dogs Squirrels Cats Deers Moles Owls Racoons Skunks Rodents Bats Foxes Seagulls Rabbits Ducks & Insects. Sends out a signal which is inaudible to humans, but annoying to animals. Safe for children. 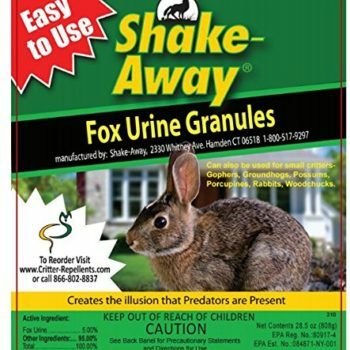 Best geese deterrent, skunk repellent, raccoon repellent, cat deterrent and groundhog repellent. Keep cats and dogs away and out of your yard. ✔ 100% MONEY-BACK “RISK-FREE” GUARANTEE – This product is backed by our 100% Money-Back “Risk-Free” Guarantee because we want to help you to repel those nuisance animals – and we offer a 100% money back guarantee if you do not see results within 3 weeks. Typical results can take 2-3 weeks depending upon the amount of visitation from animals and pests currently in your yard. ✔ SAVE THOUSANDS OF DOLLARS while driving away animals, rodents and insects without using any kind of poison, risky traps, or chemicals that smell horrible and can burn your eyes. The humane way to get rid of pests. ✔ LATEST ELECTRONIC TECHNOLOGY – Sends out an inaudible sound to the human ear, but which is extremely annoying to animals and rodents to get rid of them your garden, lawn, yard or whilst camping. Best geese repellent. 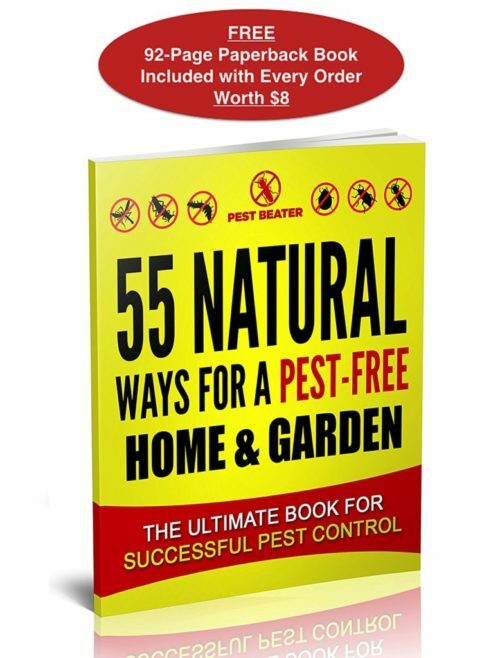 92-page pest control guidebook worth $8 included to help get rid of pests from your home & garden. 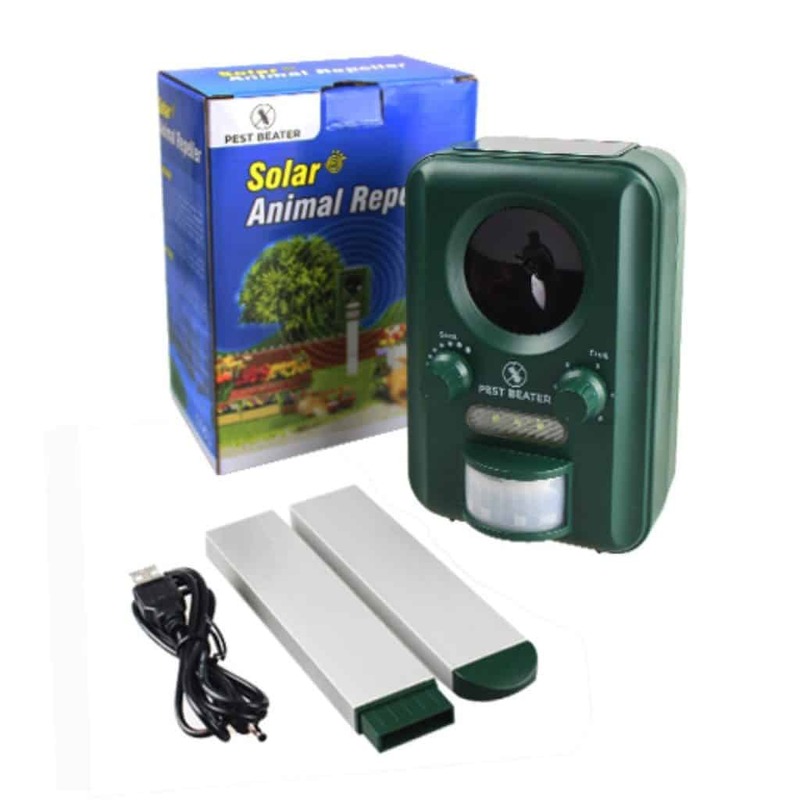 Pest Beater Outdoor Solar-Powered Ultrasonic Animal Repeller, repels animals from your yard, garden and lawn in less than 21 days – or 100% of your money back. Guaranteed. The Best Animal Deterrent That You Will Ever Use. 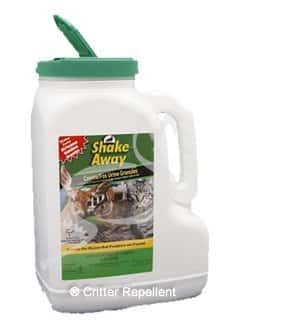 Eliminates all Types of Animals & Rodents – Protect your outdoor area from unwanted pests without using dangerous chemicals, sprays or traps that can harm you, your family and your plants. Works for Cats Dogs Deers Birds Owls Pigeons Racoons Rabbits Skunks Rodents Bats Foxes Seagulls Ducks Geese and Squirrels. 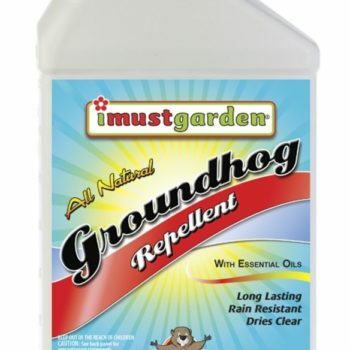 Best geese repellent, skunk repellent, cat deterrent, racoon repellent and groundhog repellent. Keep dogs and cats away and out of your yard. Electronic scarecrow. Easy to Use & Fit – Pest Beater is very easy to use and install; can be fixed into the ground or hung to a wall or tree. 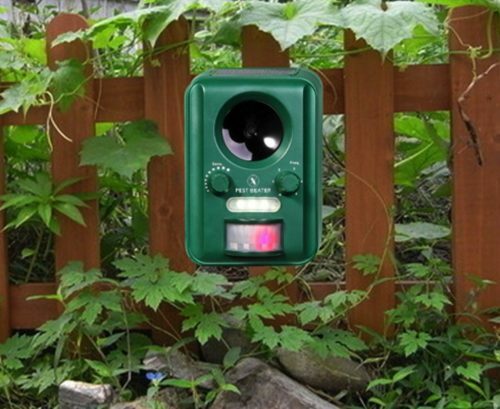 Watch your garden, yard or lawn become completely free of all pests, rodents and animals. 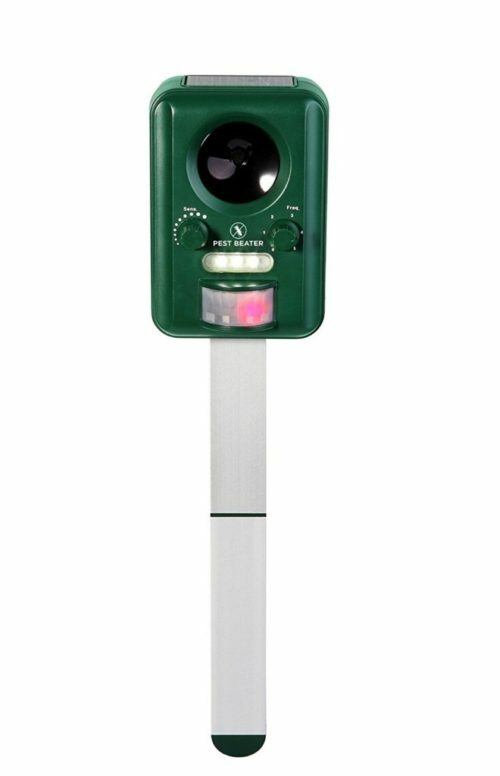 Pest Beater has an active radius of 25 sq². Safe for Children & Your Family – No messy chemicals or pesticides, no traps and completely silent for humans. Since waves are inaudible to humans. 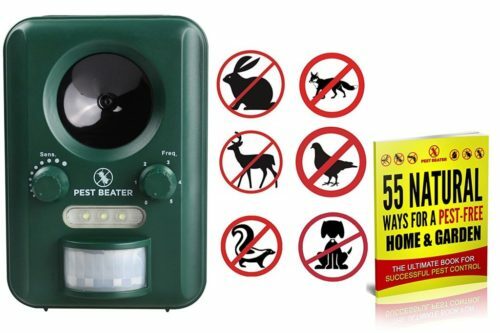 Effective in Less than 21 Days – Pest Beater will take 2-3 weeks for best results as animals, & rodents will find the ultrasonic waves disturbing at first and then modify their behavior to avoid the area. If you still see your neighbor’s pet dog in your yard for pet potty, take his pictures. Normally, there would certainly be local accordance to tidy up after the pet. The pictures could help your In the light of instance substantially. 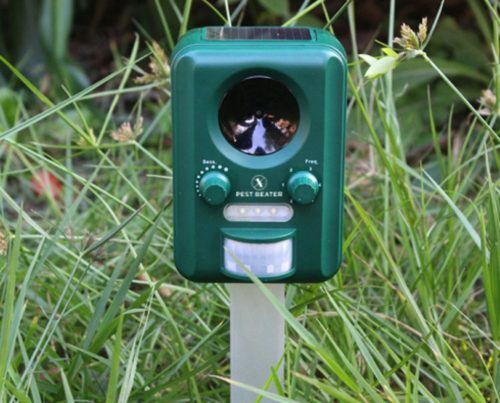 You could utilize the repellent in the yard locations In the light of and yard to secure it from the problem brought on by stray pets. 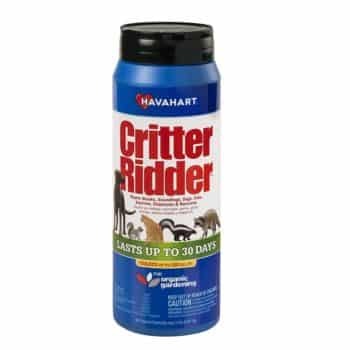 It has In the light of usually been observed that Critter Ridder repellents are very risk-free, but preference and smell nasty for the pets to steer clear of from the place where you spray it. Set up an activity detector sprayer in the locations where you are experiencing most damage. Fa. Ther develop his ranch com from noth at all as well as due to . The opportunity I was actually an adolescent he was actually cultivat over 3.000 acres. Find to monetize . You could mount an activity detector sprayer in your blossoms adjacent to your. Mailbox so the next time a dog tries to spray they will obtain splashed instead. This would certainly additionally enable dog In the light of proprietors to maintain their furry pals away from the flowers !!! I am a honored owner of a dog and frequently obtain crucial dog products for him. Lately, I was looking online about the different ways to In the light of maintain dogs away from the yard, and discovered In the light of fascinating information that I have actually shared with this article. Couple of stay that still ranch and also those couple of possess ei. Ther various o. Ther profit. Excessive feral government assistance along with our tax obligation bucks of some variety or even are go In the light of to actually gone very soon.